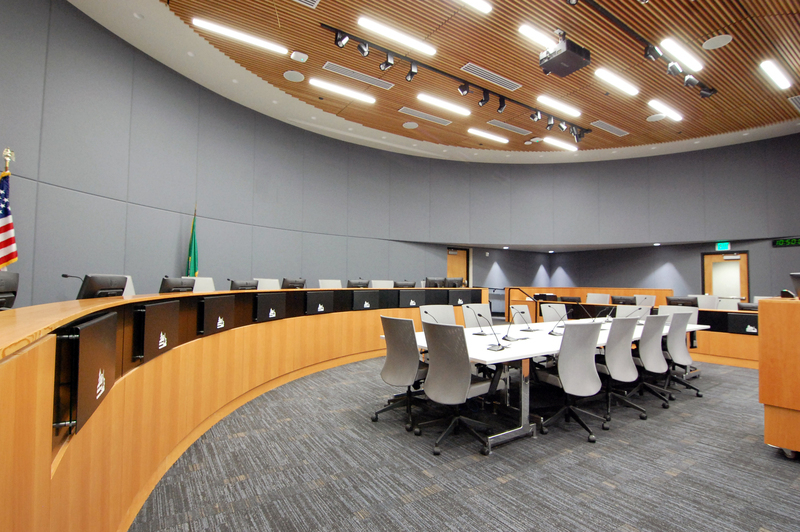 Kirkland City Hall was originally constructed in 1984 and last renovated in 1994. 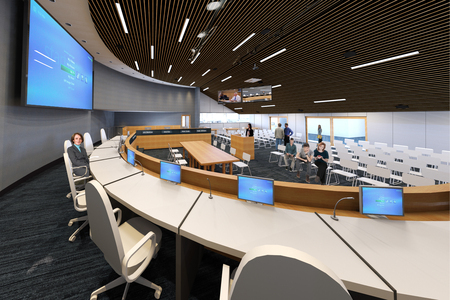 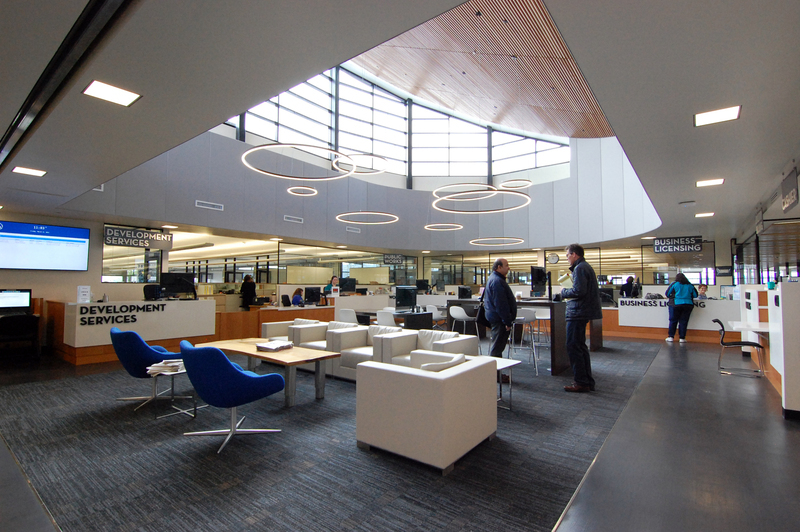 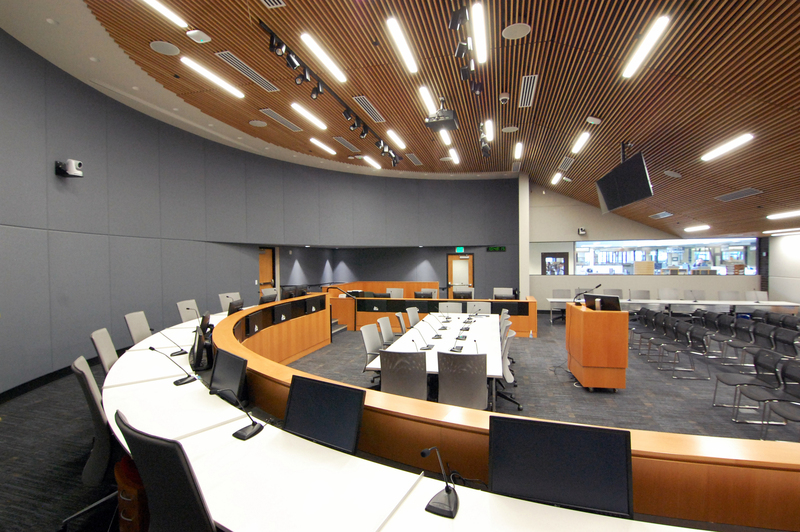 With the relocation of the Kirkland Police Department out of City Hall in 2014 ARC was entrusted with completely redesigning the 75,000sf interior of City Hall to accommodate the needs of its staff and City residents, all while the building was fully occupied by City staff and the building was open for business to the Public. 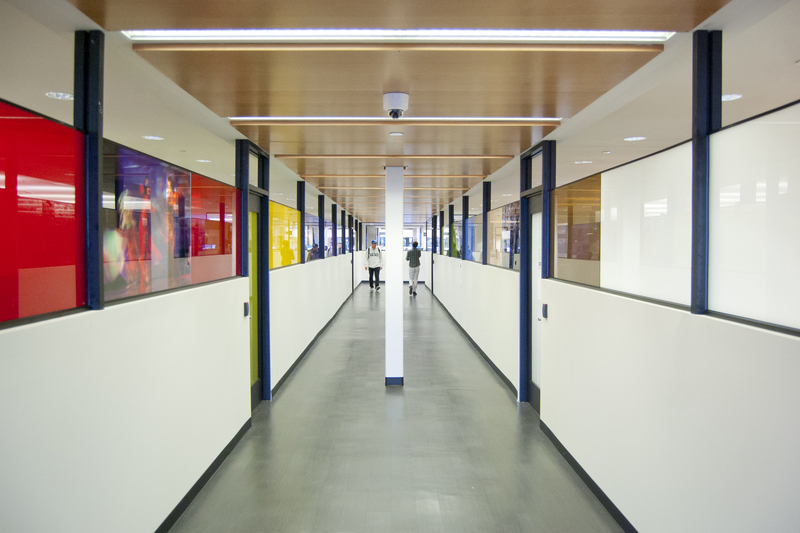 With a primary goal of using architecture as a solution to provide better service to the Public, ARC worked to simplify the building’s public entry points for increased wayfinding and security. 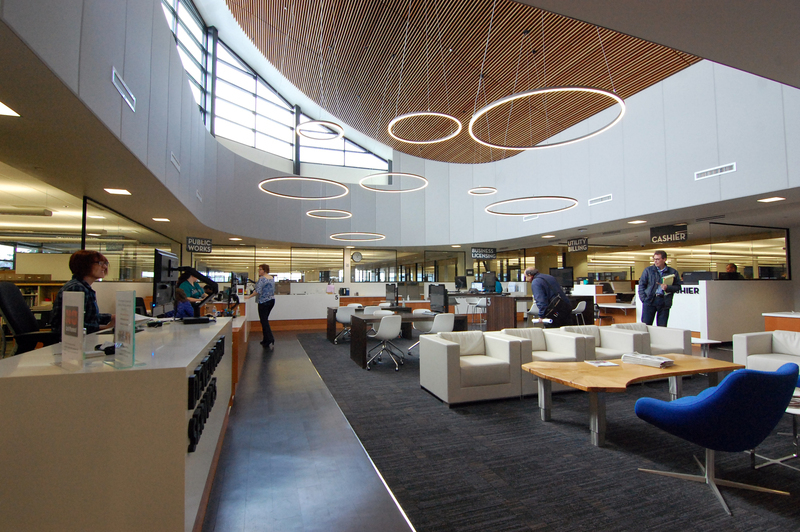 Staff was reorganized into a more collaborative, daylit, and efficient work environment and provided with a professional and inspiring venue that reflects the needs and values of its constituents. 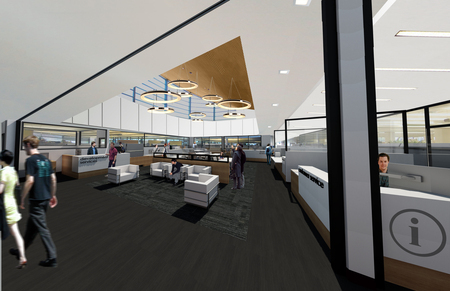 With a desire for forms and finishes that can stand the test of time, the material palette is restrained to natural woods paired with white and gray toned surfaces.